It's official – joggers are the new jeans. But we aren't talking about baggy sweatpants or chavvy velour here. 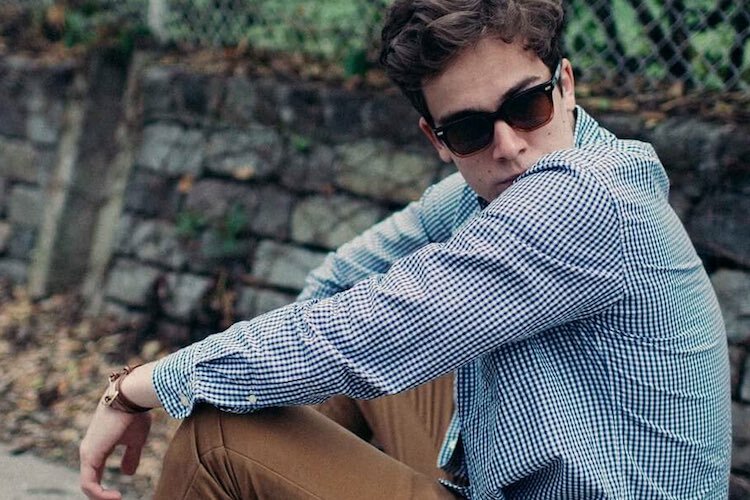 Modern joggers are smart, stylish and incredibly versatile. Whether they come in jersey, wool, or even leather, they can be worn anywhere from the gym to the club. Just follow these four rules on how to dress up men's joggers, and enjoy the most comfortable trend in fashion. Like jeans, your joggers shouldn't be the entire focus of your outfit, and when you're dressing them up, you want to keep things relatively simple. So forget Fresh Prince style patterns and opt instead for plain colours such as grey, black or navy, then add interest with your accessories instead. 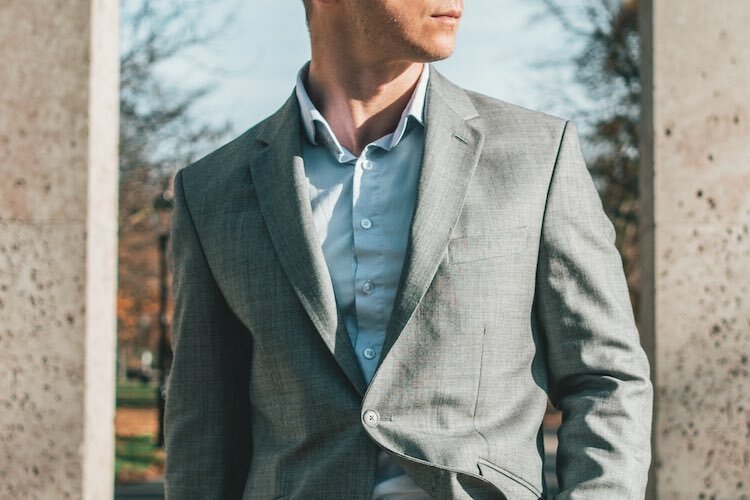 Remember to keep things simple up top as well, with a plain white T-shirt or button-down shirt, layered under a bomber jacket or a blazer (for those extra-dressed up occasions). Stick with just two or three colours overall, and avoid baggy t-shirts or sweatshirts that will give your look a more casual vibe. Shoes are everything when it comes to dressing up men's joggers. You can show off a great pair of trainers by tucking your joggers behind the tongue or pulling them up slightly, but make sure the trainers really are worth showing off – dirty, scuffed shoes will drag down this whole look. For a really smart silhouette, choose brogues or loafers, polished to within an inch of their life. Alternatively, toughen up your look by tucking your joggers into a pair of Doc Martens or biker boots – the bulkier, the better. 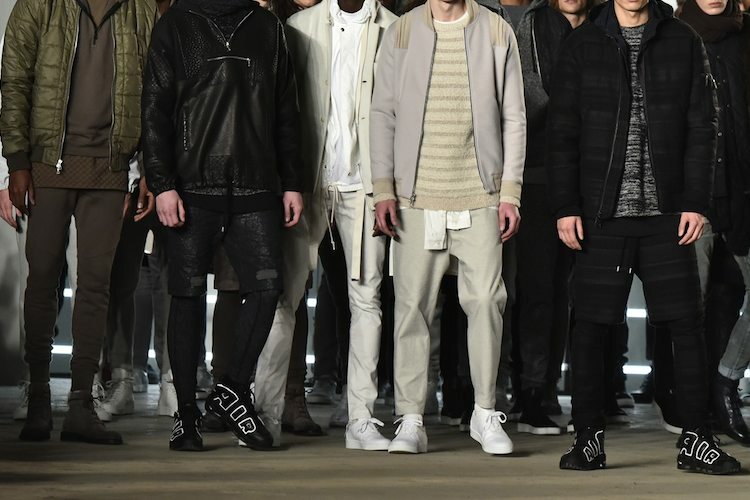 You know joggers are in fashion when Balmain starts selling them for £595 a pair. You don't have to spend that much to get a decent pair of joggers – but it does pay to upgrade your fabric. Cheap joggers look like cheap joggers, whereas a quality fabric changes the entire look of your outfit. Wool, cashmere or a cotton-jersey mix can make an average-looking pair of joggers look like couture, while leather, neoprene and silk will make a serious style statement. When you are wearing premium joggers, you can afford to be casual with the rest of your look and still appear dressed-up. Quality speaks volumes, and the juxtaposition of the relaxed fit and the expensive fabric is a subtle nod to fashion. Not all joggers have to be loose fitting. These days, they can be draped, low-slung, tapered, tailored or fitted. And the style you go for can be the difference between a casual weekend outfit, or a smart, dressed-up look. Tapered joggers are having a bit of a moment, and they look great with a plain button-down shirt and a pair of brogues. Fresher than jeans, but cooler than khakis, the tapered look is probably the easiest one to pull off for a more formal occasion. Unless you have amazing legs, stay away from the tighter styles, which can resemble jeggings if you aren't careful. Similarly, use your instincts when it comes to the looser fits – while premium fabrics and good accessories can make a big difference, some joggers really are best suited to Sunday mornings on the couch. Keep things simple and choose a basic colour palette consisting of white, grey, black, navy and neutral tones so your outfit doesn't look too casual. Avoid wearing baggy or oversized clothes with your joggers and instead opt for slim fit tops, shirts and jackets. For a smarter silhouette, avoid wearing trainers (unless they're an iconic style in pristine condition) and go for brogues or loafers as an alternative. Fabric can make all the difference so try to choose joggers made of a wool or premium cotton mix. They’ll instantly look smarter than cheaper jersey fabric versions. When it comes to the cut, opt for tapered joggers for a tailored look and at all costs avoid low/drop crotch styles.